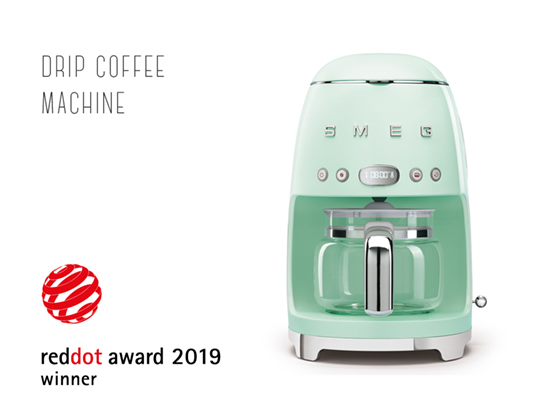 The Red Dot Awards jury assigned the prestigious recognitions to three Smeg products: the SFPR9604NR Dolce Stil Novo oven, the TSF03 toaster and the DCF Drip Coffee Machine from the 50’s Style range. Composed by international professional design experts, from different backgrounds, the jury ensures an extended evaluation of the intercultural aspects connected with the winning design projects. Since 70 years, Smeg follows the mission to combine aesthetics and technology, creating appliances that offer both style and functionality. The media support of the Red Dot Design Awards, the inclusion in the Year Book, the Red Dot App, the presence in the Museum of Essen and the “on tour” initiatives will be precious tools for the Italian brand to transmit its values and style.